When you choose Blake Fulenwider Dodge, you’ll immediately feel our difference. 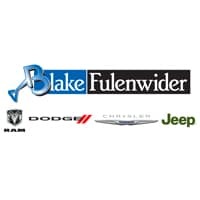 Our Chrysler, Dodge, Jeep and Ram dealership in Eastland, TX, is a proud member of Blake Fulenwider Automotive, and we work hard to provide our customers with the outstanding customer care, competitive prices and world-class service they deserve. If you’re looking for a hometown dealership with high standards, an authentic Texas feel and a pressure-free approach to doing business, then Blake Fulenwider Dodge is the right dealership for you! When you visit our local EastlandRam dealership, you’ll find the full Chrysler, Dodge, Jeep and Ram model lineup waiting for you on our lot. If you’re a farmer or rancher, come check out the new Ram 1500 trucks for sale at our Texas Ram dealership. We can help you lease a new Ram 2500 or buy a new Ram 3500 pickup. If you’re interested in a new Jeep SUV, you’ll find plenty of new Jeep Cherokee, Jeep Grand Cherokee and Jeep Wrangler SUVs on our lot. We even offer a used car inventory that’s filled with pre-owned Dodge Charger muscle cars, used Chrysler minivans and other sleek makes and models. Simply visit our showroom to speak with a member of our Jeep financing team and we’ll go to work for you, finding the perfect auto lease or loan. If you happen to be visiting our EastlandDodge dealership for Jeep maintenance and repairs, know that our Ram service center is run by a team of highly trained professionals who are skilled at diagnosing and repairing your Chrysler or Dodge. We can perform a Jeep oil change, Ram tire rotation, Dodge brake inspection and other Chrysler repairs, so you can rejoin the road in style. Our Eastlandservice center even works hand-in-hand with our Chrysler parts center to ensure we’re using genuine Jeep parts and accessories wherever possible during the repair process. At Blake Fulenwider Dodge , we go the extra mile to ensure our customers leave happy. If you want to partner with a hometown dealership that cares about you and your business, visit us today at 1310 E Main St. in Eastland, TX. We’re easily reached by drivers coming from Abilene, Stephenville, Weatherford and Brownwood, TX, so make the trip today and join our growing automotive family!